As the federal government aims to ink a deal with the states on the National Energy Guarantee in August, it appears still to be negotiating within its own ranks. Federal energy minister Josh Frydenberg has reportedly told his partyroom colleagues that he would welcome a new coal-fired power plant, while his former colleague (and now Queensland Resources Council chief executive) Ian Macfarlane urged the government to consider offering industry incentives for so-called "clean coal." Last month, it emerged that One Nation had asked for a new coal-fired power plant in north Queensland in return for supporting the government's business tax reforms. Australia's newest coal-fired power plant was opened at Kogan Creek, Queensland in 2007. Many of the political voices calling for new coal have suggested that this investment should be made in Queensland. But what's the real picture of energy development in that state? There has been no new coal for more than a decade, but developers are queuing up to build renewable energy projects. 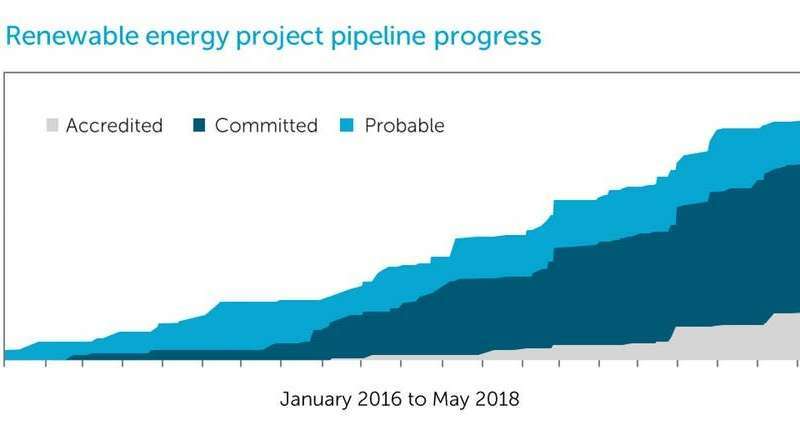 Powerlink, which owns and maintains Queensland's electricity network, reported in May that it has received 150 applications and enquiries to connect to the grid, totalling 30,000MW of prospective new generation – almost all of it for renewables. Its statement added: "A total of more than A$4.2 billion worth of projects are currently either under construction or financially committed, offering a combined employment injection of more than 3,500 construction jobs across regional Queensland and more than 2,000MW of power." This principle is reflected in our work on 100% renewable electricity for Australia. 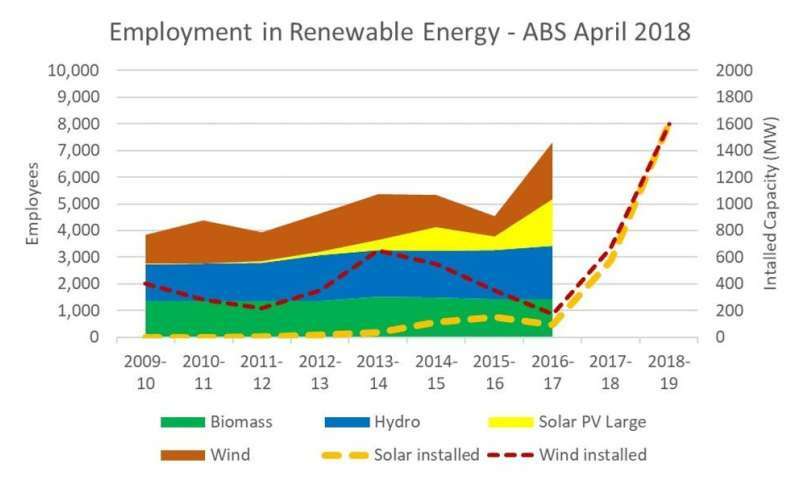 We used five years of climate data to determine the optimal location for wind and solar plants, so as to reliably meet the NEM's total electricity demand. 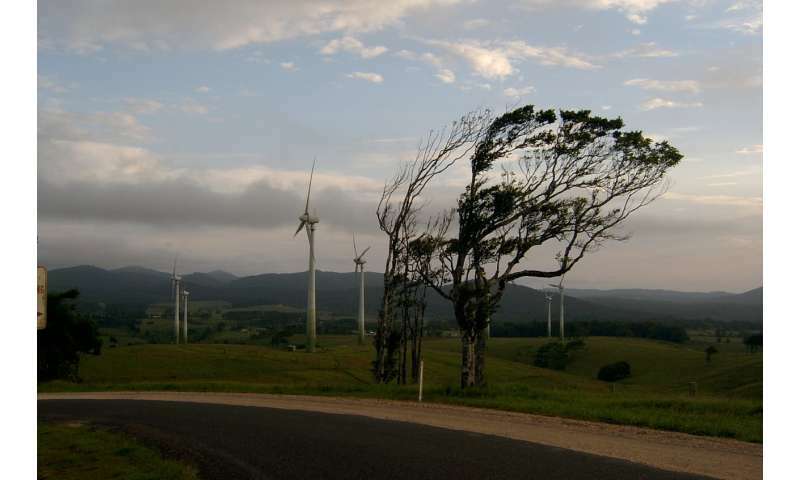 We found that the most cost-effective solution required building about 10 gigawatts (GW) of new wind and PV in far north Queensland, connected to the south with a high-voltage cable. One political party with a strong regional focus, Katter's Australia Party, understands this. Bob Katter's seat of Kennedy contains two large renewable energy projects. 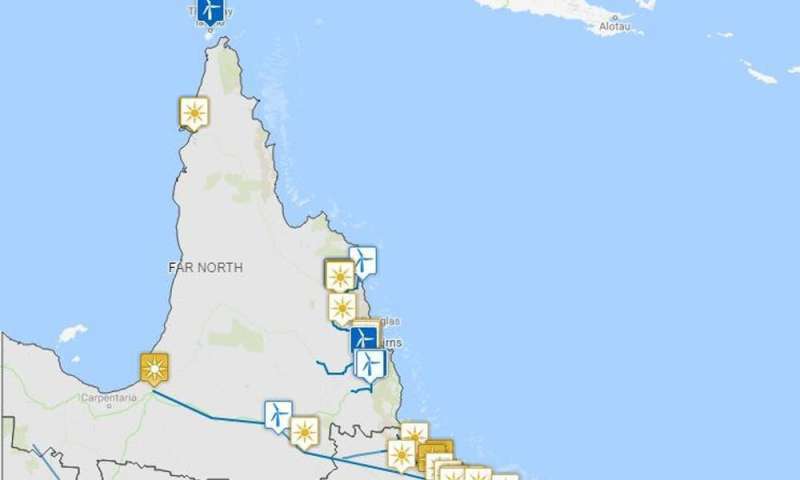 In late 2017, he and the federal shadow infrastructure minister Anthony Albanese took a tour of renewables projects across far north Queensland's "triangle of power." Katter, never one to hold back, asked "how could any government conceive of the stupidity like another baseload coal-fired power station in North Queensland?" Judging by the numbers, it's a very good question.